ABTAC works with industry to provide a competent and independent assessment of Hand Arm Vibration levels within the workplace, in accordance with the Control of Vibration at Work Regulations. Hand Arm Vibration Syndrome (HAVS) is the collective term covering a number of potentially serious injuries, of which vibration white finger (VWF) is the most commonly recognised. There are a number of factors that contribute to the development of HAVS, and steps should be taken to reduce the risk where elimination is not possible. 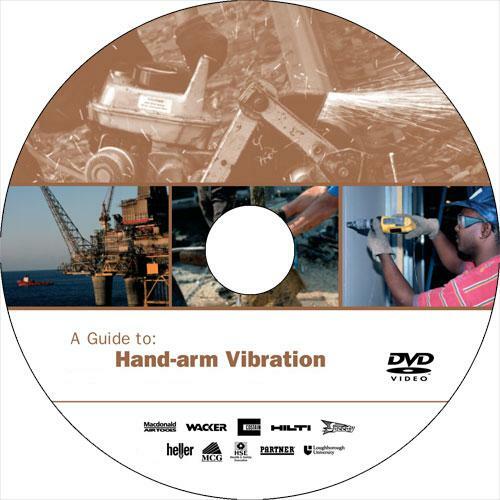 The main purposes of the Hand Arm Vibration assessment is to identify where there is a risk and to determine employees' daily vibration exposures to establish if the operators are likely to be exposed at or above the Exposure Action Value (EAV) and / or the Exposure Limit Value (ELV). The employee exposure to HAVS is measured by monitoring vibration values that are representative of the typical vibration for a tool or process throughout the operators daily working period. From the data collected in the study, the usage time prior to reaching both the exposure action value and exposure limit value is calculated. The said values are reviewed and a report submitted, which lists the vibration test results, EAV, ELV and Exposure points per hour. The “Control of Vibration at Work Regulations 2005” came into force on 6 July 2005 (the transitional period for older tools and machinery that cannot keep exposure levels below the ELV, ended in 2010) and aim to protect workers from risks to health from vibration. The regulations introduce action and limit values for hand-arm and whole-body vibration. These regulations require the employer to carry out a number of tasks to assess the vibration risk to their employees and to introduce a number of controls to eliminate or reduce exposure to vibration. Unless managed in line with these current regulations and EU standards, employers may put themselves and their employees at great risk to Hand Arm Vibration. The regulations specify two 'levels' for Hand Arm Vibration. The daily exposure limit value (ELV) is the maximum amount of vibration an employee may be exposed to on any single day. The daily exposure action value (EAV) is the level of daily exposure to vibration above which an employer is required to take certain actions to reduce exposure. Exposure Action Value of 2.5 m/s2 A (8) at which level employers should introduce technical and organisational measures to reduce exposure. Exposure limit value of 5.0 m/s2 A (8) which should not be exceeded. For a competitive price ABTAC offer a tool audit, where a trained engineer(s) will undertake vibration testing to ISO standard 5349-2 (2001) on a sample of tools used on the site (minimum of one of each tool type). Each tool is monitored for vibration utilising all consumables used by the tool, free running and in use. The data is recorded and submitted on a report which lists the vibration test results, Exposure Action and Limit Values, which can be used in a Vibration Exposure action plan. Upon completion of the aforementioned report, ABTAC will discuss additional services, which can assist with the on-going management of HAVS and general Vibration reduction. Assistance in applying the test results for operators who use multiple tools and component combinations. The creation of a jointly agreed action plan focusing on reducing vibration exposure. Using ABTAC’s extensive Tool and Abrasive knowledge to help reduce vibration exposure. Bespoke HAVS awareness training and advice for your employees. We will only use data collected in this form to deal with your request and any services that arise from it. Want more information about HAVS for your staff?